Product code: ES6673 Categories: Sold Items, Sold Jewellery. 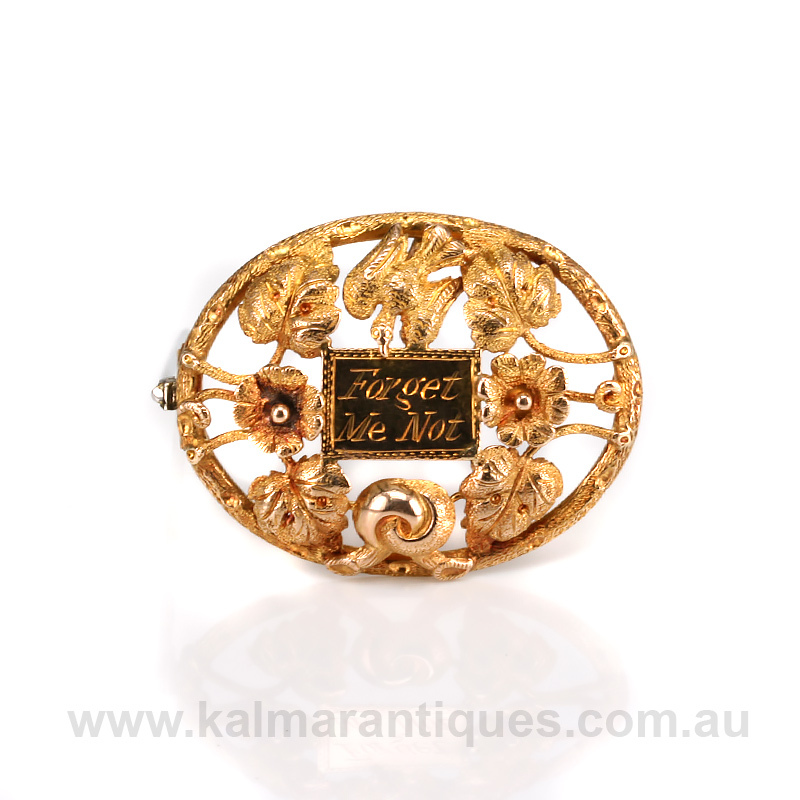 Early antique Australian jewellery is becoming so sought after and is often identifiable by the style and flora and fauna often used and here is a gorgeous early Australian forget me not brooch that is so sweet and typical of early Australian jewellery of the 19th Century. 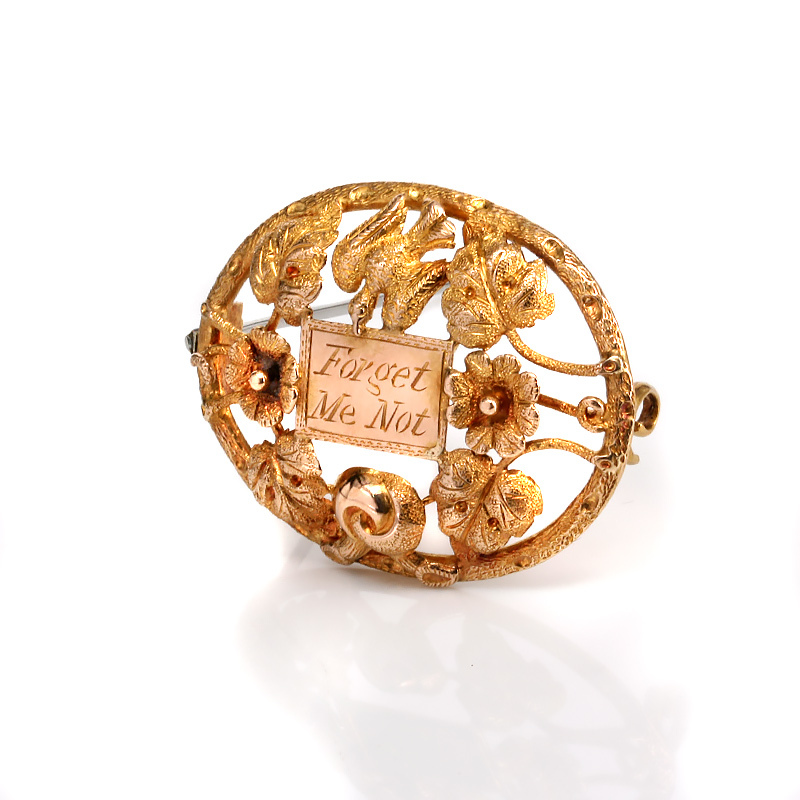 Made in 15ct gold in the 1880’s, this brooch centres around the rectangle plate hand engraved with the inscription ‘Forget me not”. This endearing phrase was often given between loved ones when one person often went away for quite some time and this brooch really makes you wish you could know the story that it once told between two sweethearts. Measuring 33.4mm by 26.4mm it is set with flora often seen on Australian jewellery as well as a bird at the top. So sweet and charming, this antique forget-me-not brooch is as romantic as they come.